their physical and mental wellbeing. In fact, some of the more radical Ayurvedic doctors go so far as to not even acknowledge the presence of individual diseases, believing that all imbalances in the body stem from digestive problems and faulty diet in one form or another. Patients are treated with a combination of specific herbs and dietary therapies aimed at strengthening and healing the digestive tract and any underlying digestive problems, quite frequently with remarkable success. While this may be a ‘fringe’ point of view to some, the fact is that it highlights the foundational role that digestion plays in our overall health and wellbeing. As you may have guessed, digestion is the other piece of the puzzle, equally important and yet rarely acknowledged. The quality and strength of your digestion governs the ability of your body to properly absorb the nutrients from the food you are eating. Without a healthy, well-functioning digestive tract, free of digestive problems, even the best dietary habits will do you little good as your body struggles to process the essential nutrients locked away in your food. The fact is that if you cannot fully assimilate what you eat, you will invariably experience disease and unnecessary suffering regardless of any other measures taken towards maintaining and improving your health. In the West, most people are not absorbing all the potential nutrition from the foods they eat, due to varying levels of deficient digestion and underlying digestive problems. When you see the nutrition facts panel that lists what various vitamins and minerals are in the food you are eating, it is tempting to think that you simply absorb it all when you consume that food—I know I did for many years. But it was not until I began studying Ayurveda and Chinese Medicine that I learned not all of the nutrients we eat are absorbed unless our digestion is operating at its peak. In cases of deficient digestion and deeper digestive problems, as little as half (in severe situations, even less) of what we consume in terms of actual nutrients—vitamins, minerals, protein (amino acids)—is actually assimilated into our bloodstream and used by our bodies. This is due to the less-than-ideal state of the digestive tract in most individuals nowadays, which arises from the detrimental eating and lifestyle habits that have become commonplace in Western culture. Gluten Intolerance… or Just Poor Digestion? As a society, we are collectively becoming more aware of the relationship between what we eat and our health, which is a major step in the right direction. However, we have a tendency to incorrectly vilify certain foods, when the real culprit is not the foods themselves, but underlying digestive problems. For example, the number of people claiming to have gluten intolerance has reached epidemic proportions; but only a handful actually have a medically diagnosable allergy to gluten known as Celiac disease. For those diagnosed with Celiac disease, it is truly life threatening to consume wheat and other gluten-containing products. The rest of the ‘gluten-intolerant’ population simply experiences mild-to-severe discomfort and digestive problems when consuming gluten-containing grains, the reason for which is believed to be the gluten itself. Gluten is a protein found in high concentrations in modern, hybridized varieties of wheat and other similar grains (such as rye, barley and spelt) that can irritate the digestive tract of sensitive individuals. However, it has been my experience that, in most cases, the true culprit is not the gluten itself, but undiagnosed digestive problems. I should know. For years, I experienced many of the telltale signs and symptoms of gluten intolerance: headaches, bloating, dizziness, pain in the digestive tract and generally feeling terrible after eating wheat or other gluten grains. And yet, that all changed once I began to heal my digestive tract and the underlying digestive problems using many of the guidelines that will be revealed later in this article, based primarily on Ayurvedic and Traditional Chinese Medicine. After a few months of concerted effort, I was able to eat wheat and other gluten grains with no ill effects whatsoever. Let me be clear that I am not denying the existence of Celiac disease or saying that gluten is harmless. Wheat and other gluten-containing grains are definitely some of the most irritating foods for the digestive tract and anyone working to heal their digestive problems is advised to avoid them for some time. However, they typically only become a problem for most people when they are concurrently experiencing deficient digestion. Eaten in moderation, organic, minimally hybridized wheat is a particularly healthy food. Few know this, but wheat is perhaps the most nutrient dense of all grains and, furthermore, has been a mainstay of the human diet for thousands of years. One of the primary reasons people develop digestive problems is simply that they lack a basic understanding of how the digestive process operates. Armed with this knowledge, it becomes quite easy to identify if a given food or lifestyle choice will create digestive problems or support strong, healthy digestion. Digestion actually begins in the mouth. The act of chewing food mixes it with our saliva; rich in digestive enzymes, saliva begins to break down the food even before it reaches our stomach. 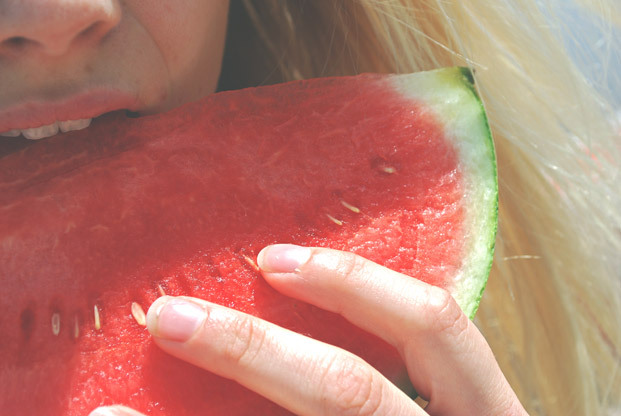 Therefore, the first step in improving your digestive problems is to chew your foods thoroughly—a good starting point is at least 20 times per bite. More is ideal, but to be practical, this is probably unreasonable for most people. At first you might have to count to get an idea of the general amount of time 20 ‘chews’ takes, but it will quickly become second nature and eventually a habit. Once food is swallowed, it enters the stomach, which then secretes hydrochloric acid and various enzymes to further digest and break down the food. This is another critical juncture at which digestive problems frequently arise because many of us have the habit of drinking and eating simultaneously. While a few sips of liquid with meals is harmless, larger amounts begin to dilute the concentration and effectiveness of the hydrochloric acid-enzyme mix and can severely interfere with the digestive process, causing food to enter the intestines without being properly broken down, which creates digestive problems. This can lead to gas, shooting pains and sub-clinical nutrient deficiencies, among other things, as the body struggles to release the vitamins and minerals locked away in the undigested pieces of food. Many Ayurvedic and Traditional Chinese Medicine doctors recommend abstaining from any beverages for up to 2 hours after a meal, but a more reasonable time frame is at least 30 minutes, and an hour if you can swing it. Again, a few sips is not usually an issue, but drinking more than that could be highly counterproductive, especially if you are trying to rebuild your digestive strength and heal your digestive problems. As food leaves the stomach and enters the intestines, the pancreas releases enzymes that, along with the beneficial bacteria and microorganisms in the bowels, begin to break it down even further. These beneficial bacteria (also known as probiotics or intestinal flora) are in a delicate balance but are rather resilient if we eat well and abide by the digestive best practices outlined by Ayurveda, Traditional Chinese Medicine and summarized in this article. However, there are some very common things that we do that absolutely decimate this natural symbiosis and are responsible in large part for the epidemic level of digestive problems we face in the West. By far, the most serious problem is the use of antibiotics. Even as little as one pill can majorly disrupt the digestive tract and kill off an alarming amount of the essential good bacteria that are so intricately linked to our digestive ability and health. The problem with pharmaceutical antibiotics is that they are nondiscriminatory, meaning that they simply kill all intestinal bacteria, good or bad. This may alleviate symptoms in the short term but leaves the door wide open for opportunistic pathogens to take advantage of the serious lack of endogenous, immune-enhancing good bacteria left in the wake of antibiotic use, which very quickly leads to serious digestive problems. Instead of pharmaceutical antibiotics, it is far safer and equally effective to use natural antibiotic medicines that destroy harmful, disease-causing bacteria but leave your essential, beneficial bacteria unharmed and perhaps even strengthened. As a first line of defense, colloidal silver and oil of wild oregano are excellent, time-honored choices. Most people are not aware that a major portion of our nervous system is located in our intestines, also know as the ‘enteric nervous system’ by doctors or, more commonly, as our ‘second brain.’ In fact, more than 90% of the body’s serotonin is produced in the gut, as well as about 50% of the body’s dopamine. Furthermore, your intestines produce and co-regulate 30 other neurotransmitters identical to those found in your brain and are used by your central nervous system to regulate mood, stress levels, sleep patterns, mental functioning and any number of other essential body processes. As you can imagine, an imbalanced, damaged or poorly functioning digestive system—whether that is due to antibiotic use, diet and lifestyle or simply overconsumption of irritating foods—interferes with the functioning of this second brain and has been implicated in depression and other mood disorders, immune system disruption and many other common diseases. Although this enteric nervous system was unknown to Ayurvedic and Traditional Chinese Medicine doctors thousands of years earlier, they clearly recognized that digestive problems affected the whole person—mentally, physically and spiritually. As a society, we are beginning to collectively realize the intricate relationship between our diet and our health. While this is generally a beneficial shift in awareness, it can—and often does—lead people to embrace ‘healthy’ diets and lifestyles, which can further aggravate digestive problems when taken to an extreme. Any food eaten or served cold tends to disrupt digestion to some degree. Our bodies are very warm (98.6 degrees Fahrenheit) and our stomach needs to heat everything we eat up to this temperature for optimal digestion. Eating cold foods puts enormous stress on our digestive system and causes us to only partially digest what we eat, which as you know, leads to digestive problems. Traditional Chinese Medicine refers to cold foods as damp, which alludes to the effect they have on our digestion. Think of a swamp, clogged and stagnant. Excessive juice or cold foods produce the same effects in our digestive tract. Drinking fresh-squeezed juice, or any cold beverage regularly for that matter, also introduces excess liquids into our digestive tract as well, which, as discussed earlier, dilutes our digestive juices. Compounded by the fact that they are cold and typically high in naturally occurring sugar, juices can very quickly imbalance even otherwise robust digestion and create digestive problems. Again, balance is key here. A fresh-squeezed juice a few times a week is usually not a problem if your digestion is strong and healthy. But a juice every day for more than the short term (for example, as part of a cleanse lasting a week or two) is a recipe for digestive problems. Juicing and cleansing diets make us feel good initially as our body is purified and organ function improves, and so we assume that they are healthy and beneficial in the long term; but the reality is that they can and do burnout our digestion and create noticeable digestive problems quite quickly because they typically rely on juicing, fruits, salads and other cold, damp foods. In addition to generally consisting of abundant amounts of salad, fruits, juice and other cold foods, raw food diets rely heavily on nuts and seeds which are the most difficult to digest of all foods. 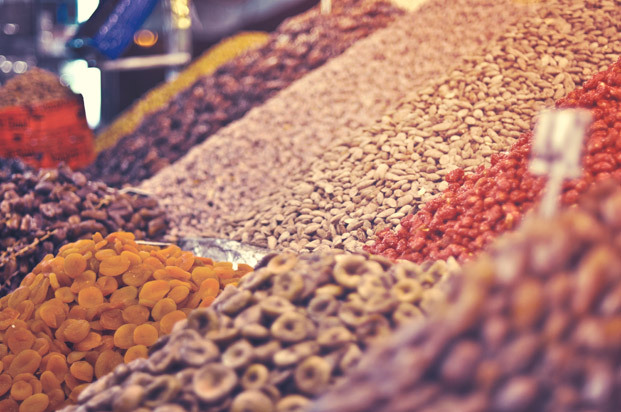 Depending on how nuts and seeds are prepared, they contain varying levels of phytic acid and trypsin, both considered ‘anti-nutrients’ because they bind up essential minerals in forms unusable by our bodies and inhibit digestion simultaneously. They can be broken down to a degree by sprouting, which is commonly done on raw food diets, but this does not remove them completely; and, even in small amounts, they put quite a bit of stress on our digestion and can lead to chronic digestive problems. For these reasons it is not recommended to engage in strict raw foods diets long term. As a short-term cleansing protocol, or as part of a more balanced overall diet incorporating cooked foods, raw foods can be an incredible asset towards promoting health, but be sure to listen to your body. If you are suffering from digestive problems, it is recommended not to follow raw food diets as they almost always make things worse. Our digestive secretions are extremely acidic; and when we regularly drink alkaline water or beverages, it neutralizes our stomach acidity, which eventually breaks down our digestion. Alkaline water can be beneficial in moderation if it is naturally alkaline—meaning that it is alkaline due to naturally occurring or added minerals such as those which occur in spring water. All minerals are alkaline, and mixing them with water causes the water to become alkaline. However, many brands artificially alkalize water by passing it over metal plates with slight electric charges, which manipulate the ion balance as a shortcut to alkalinity. The body, as you might imagine, does not react well to these types of ‘processed’ waters and digestive problems form as a result. Even in healthy diets, there can be a considerable amount of sugar. While it may not be refined, if you are particularly health conscious, eating excess fruit, fruit juices, honey and any other natural sweetener (with the exception of stevia or xylitol, which don’t actually contain any sugar), can actually create digestive problems by weakening your pancreas. When you eat sweet foods, the sugar contained therein finds its way into your bloodstream (and quite quickly at that). Your body maintains a very delicate balance of sugar levels in the blood; and a sudden influx from eating highly sweetened foods—especially if the sugar therein is refined—causes your blood sugar levels to spike. In order to get things back under control, your pancreas begins to secrete insulin, which then safely transports the excess sugar out of your bloodstream. This is a normal, healthy process; but like anything in excess, it leads to digestive problems. If you regularly eat sugary or sweet foods, the extra stress it places on your pancreas will cause it to become overworked and ‘burnt out’, just like you would be after working all day, everyday with no break. As mentioned, your pancreas is critical for healthy digestion, releasing a number of vital digestive enzymes to break down foods as they enter the intestines. Over stressing it by consistently eating sugary or sweet foods (whether or not you are aware of it) greatly diminishes its ability to produce enzymes and your digestion suffers. Over the course of weeks, months and years, this can severely affect the ability of the pancreas to function normally and your digestion is weakened as a result.A piece of fruit or two per day, if your digestion is in good working order, is fine and nothing to be concerned about. However, if you suspect you may have digestive problems, it is best to avoid all sugar or limit your intake to a piece of fruit on occasion until your body gets back into balance. By becoming mindful of your eating habits, you can quickly bring your digestive health back into balance. The simple knowledge I have outlined so far of how digestion operates and digestive problems are formed in a general sense is enough to empower you with the foundational skills you will need to maintain resilient digestive strength for your entire life and correct imbalances as they occur. Healing your digestion has two main components: diet along with herbs and supplements that can speed the process. Diet alone is enough to repair most digestive problems, but is a more drawn out process on the whole. Those who find restricted diets difficult, for reasons social or otherwise, will appreciate the added boost of powerful herbs, supplements and special medicinal foods that can greatly speed up the healing process, sometimes cutting the time needed to restore digestion in half or less. 1. Always listen to your body. If whatever you are doing is too intense or uncomfortable, back off and move at a slower pace, giving your body the space it needs to heal at a pace it is comfortable with. Consequently, if you feel like a gung-ho approach is doable and necessary, then by all means give it a try. 2. Maintain balance. Traditional Chinese Medicine recognizes two fundamental forces in the universe that apply to everything in life, diet included—Yin and Yang. Keep this in mind as you work to heal your digestive problems. Balance forward momentum with rest, activity with peace. If you feel like breaking the rules and ‘cheating’, then give yourself space to enjoy life; after all this is why you are engaging in the digestive healing process—to get more enjoyment out of life. So, apply that wisdom to the healing process as well and keep everything balanced. 3. If your symptoms worsen or you suspect there may be more at play, consult a Naturopathic, Ayurvedic or Traditional Chinese Medicine doctor for guidance. Although the recommendations below are safe for anyone, if in doubt, get it checked out. The following suggestions, with the exception of eliminating artificial sugars, are only necessary until you get your digestion functioning back at optimal levels. At that point, you can reintroduce foods and see how your body is reacting to them. If you feel fine, then you can include them in your diet in a balanced manner. It is important here to note that the above mentioned foods are not bad for you by any stretch, especially if they are eaten in a whole, unprocessed form (again, with the exception of artificial and refined sugar). In fact, they are all highly nutrient-dense foods that provide many health benefits and should be included as part of a well-rounded diet. However, if you are suffering from digestive problems, they can be aggravating because of their difficulty to digest. Eliminating them from your diet in the short term will allow you to heal much faster, so you can get back to eating the foods you enjoy once again. If unsure, check in with your body and see how it reacts when you eat them. *In small amounts, these can sometimes help, but they can also hinder, primarily because they are damp, wet and cold. As always, listen to your body. **If your digestive problems are severe, then fruits may need to be limited. In this case small amounts of berries are usually tolerable. The time needed for your digestion to regain its strength and digestive problems to heal is largely influenced by how closely you follow the suggestions in this article, your individual mindset and life circumstances and how deficient your digestion has become. For someone who is tenacious and committed, great progress can be made in a few weeks. For others, it may take a bit longer. Remember you are reversing a pattern that may have been months or years in the making, and so it is important to be patient and give yourself space during the recovery process. That being said, if you follow these suggestions even loosely, you should start to see progress immediately. Ghee, which is simply clarified butter, is the most revered food in Ayurvedic medicine, with an incredible array of remarkable healing properties, not least of which is the ability to rapidly repair digestive problems. 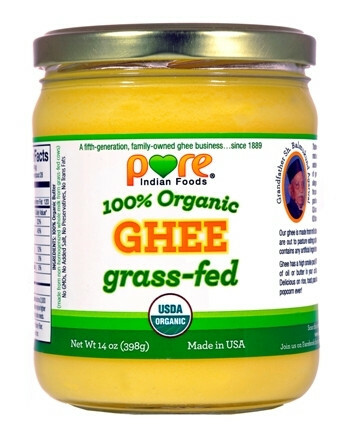 Ghee is a building food, meaning that it is ideal for people recovering from a deficiency due to its deeply nourishing effects on the body. According to Ayurveda it restores ojas, loosely translated as vital or foundational energy. In a more scientific sense, ghee heals digestive problems because it is extraordinarily rich in butyric acid, which is used in the treatment of ulcers, IBS, ulcerative colitis and colon cancer, among other things. Butyric acid works by soothing and reducing inflammation in the digestive tract and healing wounds in the mucus lining of the stomach and intestines. It also balances the hydrochloric acid levels in the stomach, which are frequently disturbed in those with digestive problems. As an added benefit, Ghee is delicious and makes just about everything it comes into contact with taste much richer and more flavorful. 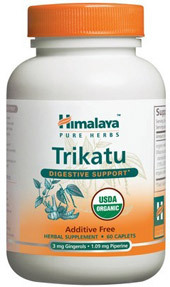 Trikatu is the Sanskrit name for a highly revered Ayurvedic herbal blend of long pepper, black pepper and ginger, all herbs with the remarkable ability to powerfully stimulate digestion—particularly the production of digestive enzymes and hydrochloric acid in the stomach. Significant increases in energy and elimination of digestive problems after the first dose are not uncommon, however, for such a powerful herbal blend it is important to start slow and be aware of how your body reacts. If you have acid reflux it is best to begin with something milder and more soothing like ghee or slippery elm bark until your stomach lining has had a chance to heal. Ironically enough, most cases of acid reflux are actually caused by a deficiency of hydrochloric acid, but the use of trikatu may be too intense at first. Start with a half tablet with the first bite of every meal and see how your body reacts. Adjust upward as needed by a half tablet every day until you reach a max of 2 tablets with every meal. You can taper off once you feel your digestive problems beginning to significantly improve. Bitters are a medicinal beverage dating back to Medieval times that is made from a blend of bitter herbs (hence the name) that stimulate digestion. Traditionally, they are taken as an aperitif (at the end of a meal), however, for those with digestive problems, it is recommended to take them just before eating. Bitter herbs have a drying effect in the stomach and intestines, which is beneficial in cases of deficient digestion where conditions therein tend to be ‘damp and wet’, according to Chinese Medicine terminology. Furthermore bitters heal the liver (which is often compromised in cases of digestive deficiency) and stimulate it to produce bile, which is essential in digesting fats and clearing out undigested food residues from the gut. Although alcohol should generally be avoided in those with digestive problems, the small amount consumed with a bitters preparation is actually beneficial. Highly purified alcohol, the likes of which is used to make bitters, clears out stagnancy in the body, which is a very common condition in those with digestive problems. Aloe vera is widely used as a powerful skin moisturizer, scar remover and wound healer and is truly one of natures most useful medicinal plants. When taken internally, Aloe has many of the same effects on the digestive tract. It works wonders on constipation, soothes ulcers, eases heartburn, gently draws toxins from the body and is an excellent remedy for healing digestive problems. However, aloe’s effects are not solely limited to the digestive tract. When any organ is weakened, be it the stomach or intestines, the other organs are also affected, having to overcompensate to deal with excess toxins, stress, etc. As digestive problems are healed, neighboring organs may need to be cleansed and rejuvenated as well and aloe serves a double purpose as a tonic for the entire organ system. It deeply cleanses and nourishes the body, pulling out wastes from the affected tissues and helping the liver to excrete them. The fresh plant gel is best, but juice from high quality suppliers can also be used. If you keep it refrigerated, which is recommended, be sure to let it warm up to room temperature before drinking. In cases of mild to severe digestive problems, nutrient absorption is frequently impaired and the body is suffering from sub-clinical nutrient deficiencies. Not surprisingly, many vitamins and minerals are necessary for proper digestive function, which can create a vicious cycle without a source of easily absorbable nutrients. Taking a high quality multivitamin and can make a major difference in the time it takes to recover by supplying the body with much needed nutrition to bridge the gap while digestion is restored. Avoid whole food multivitamins, which are typically yeast-based and tend to aggravate digestive problems. Instead look for vitamins and minerals in a form most absorbable by the body, free from binders and fillers and from a reputable, high-integrity company. 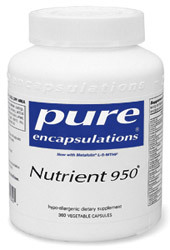 In this arena, Pure Encapsulations is by far the leader in quality, purity and potency, used by Naturopathic doctors worldwide. 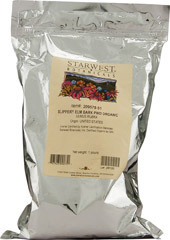 Slippery elm is derived from the bark of the Elm tree and has been used medicinally in traditional cultures for thousands of years. The bark absorbs toxins from the digestive tract, speeds digestion and transit time of food in the bowels, heals damage to the intestinal walls and feeds beneficial probiotic bacteria. It’s also rich in vitamin A, the B complex, vitamin C and K, as well as the essential minerals calcium, magnesium and sodium, and contains smaller amounts of chromium, selenium, iron, phosphorous, silicon and zinc. All in all it’s a great herb and an essential part of any healing regimen addressing digestive problems. Be sure to drink at least an 8 oz glass of water with a dose of slippery elm, as it absorbs water and toxins from the digestive tract and can be drying otherwise.